In this book, Frank Guenther offers a comprehensive, unified account of the neural computations underlying speech production, with an emphasis on speech motor control rather than linguistic content. Guenther focuses on the brain mechanisms responsible for commanding the musculature of the vocal tract to produce articulations that result in an acoustic signal conveying a desired string of syllables. Guenther provides neuroanatomical and neurophysiological descriptions of the primary brain structures involved in speech production, looking particularly at the cerebral cortex and its interactions with the cerebellum and basal ganglia, using basic concepts of control theory (accompanied by nontechnical explanations) to explore the computations performed by these brain regions.Guenther offers a detailed theoretical framework to account for a broad range of both behavioral and neurological data on the production of speech. 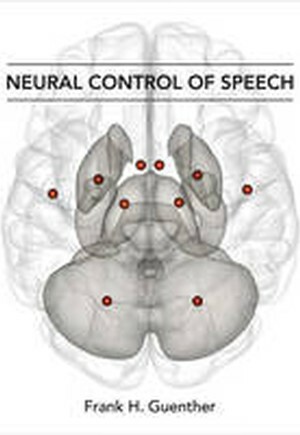 He discusses such topics as the goals of the neural controller of speech; neural mechanisms involved in producing both short and long utterances; and disorders of the speech system, including apraxia of speech and stuttering. Offering a bridge between the neurological and behavioral literatures on speech production, the book will be a valuable resource for researchers in both fields.